CSE RG-100, Nordost QX4 and PS audio P10 sound PK! And sound system tuning! This weekend, we gather at Bro Marcus house to have a PK between the three power condition devices on how it improves sound on his McIntosh audio system. He is using Mclntosh pre and power driving B&W speaker, CDP is Marantz SA11S1. So we added in the Mytek DAC into the system chain, it brings out the high frequency detail but a bit harsh and noisy, also the bass note sound truncated and do not have the well control bass drum liveliness bounce. So next we add in CSE-RG100 power regeneration for the CDP and Mytek, power cord to cdp is using Nordost Vishnu and Mytek DAC using Cardas Neutral reference power cord, Cable to CSE-RG100 is using Nordost TY2 power cord. Immediately we hear an improvement on mid range and high frequency detail, but bass control is still not to our taste. So we add the Nordost QX4 in the chain before CSE-RG100, we hear the QX4 roll off the high frequency details but now system become more quiet as more dark black ground, but again sound not to our taste, so we remove the QX4 from the chain as feel it does not improve the system sound. 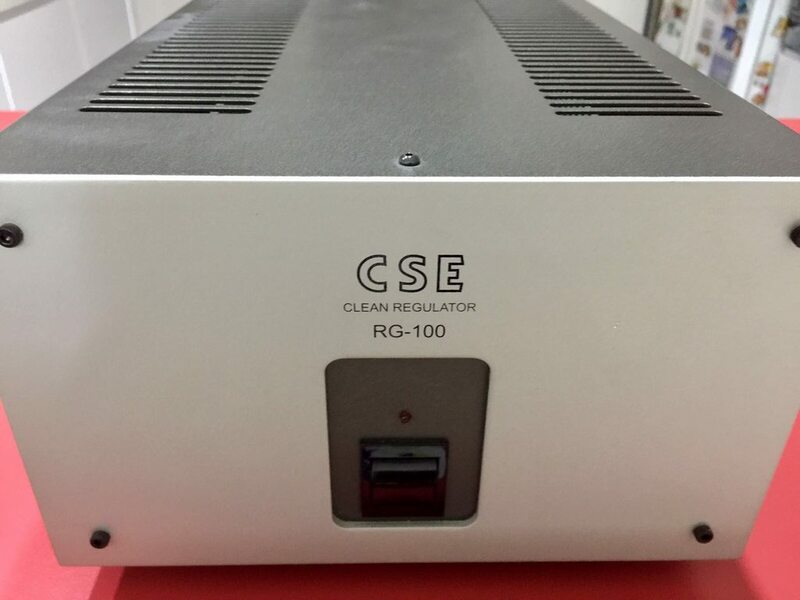 Next we replaced the CSE-RG100 with PS audio P10 to power the CDP and Mytek DAC, regenerated voltage is set to output 240V with 0.2% distortion. Straight away we hear even better sweet high detail and mid range and better control bass note. Now the sound stage also have a more 3d effect with better placement of instrument in the sound stage. We then power both the McIntosh pre and power from the P10, using Nordost Vishnu power cord to preamp and Hisago power cord for the power amp. Well, our jar drop, everything start fall into place, the 3d sound stage, the sweet high and mid range vocal and well control bass note. The system sound now is well balance across the freq spectrum and very musical. 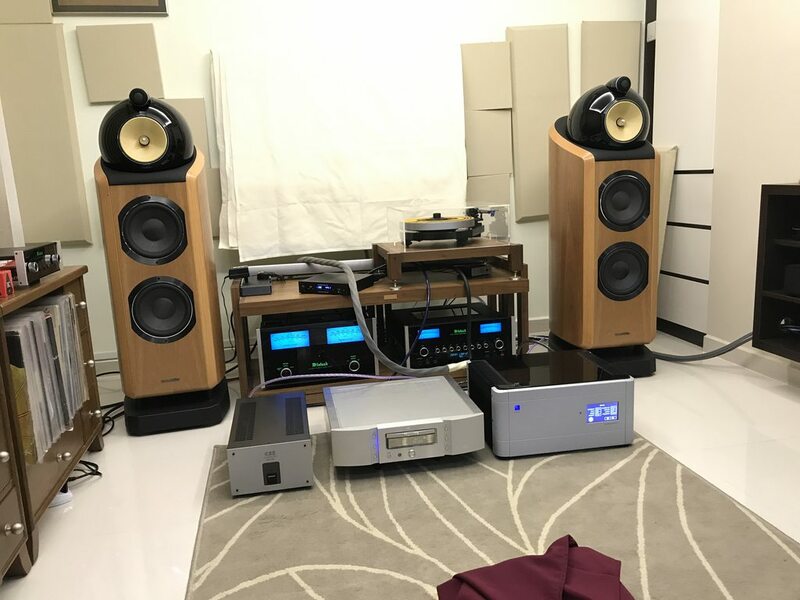 This is how a high end Hifi system should sound like! It is very comfortable to listen to at the same time all the high frequency detail is there and system is very quiet with dark black ground. 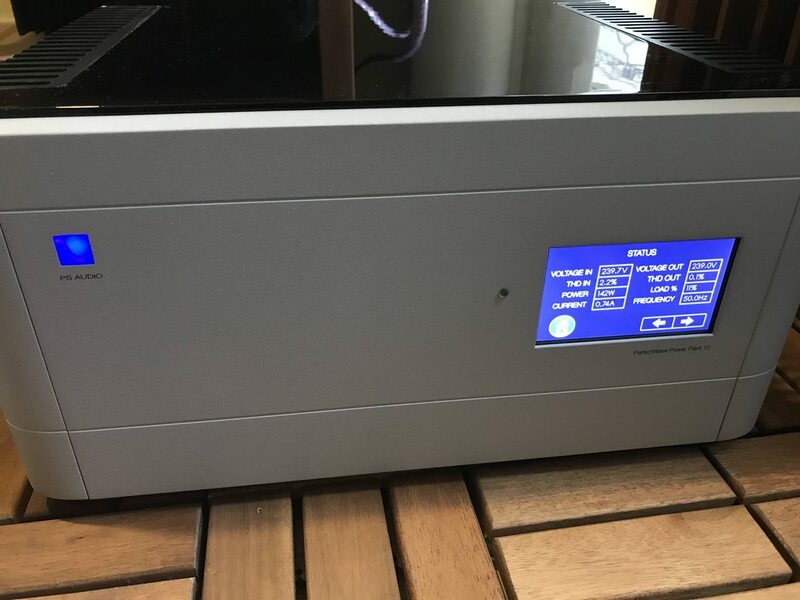 Re: CSE RG-100, Nordost QX4 and PS audio P10 sound PK! And sound system tuning! Thanks so much for coming to my place to correct my audio. Yesterday session taught me a lot of things! Firstly I always have the impression that McIntosh & B&W sound more towards warm and very thick sounding with soft bass. But with the addition of P10, Nordost cable & other cables, the final setup completely blown me away! I am not kidding, the sound is balance, sweet high, enough mid and tight punchy bass. Most important the details are there, soundstage with depth, width & layers. Last and not least it truly sound very very musical. I can drown in such sounding for hours and reluctant to leave. Also the Marantz NA11S1 with Mytek though not super expensive source but they match well and give us that smile on our faces! Bare in mind speaker cables and interconnects are also not expensive cable. I must say the TYR2 is the most expensive cable, the rest is probably under S$500 used. None of the cable are using rhodium plugs or connectors. Mostly gold or usual Neutrik connectors. Although all gold connectors but the sound doesn't sound any slow at all. It is just nice and very musical. That certainly was an interesting outing ! I think this exercise also illustrates the importance of matching. All of the components in the original setup have a warmish tonality - maybe this was too much of a good thing. On the other hand, the Mytek, CSE and Nordost cables have more high frequency energy which could have helped balance things out on the other end of the spectrum. Watchdog, U are right on! as Bro Marcus don't like bright sound so he aim for all warm player, amp and spk. But to us the sound is too warm and one dimension and loss all the high frequency detail that make the music lifeless. We add the Mytek and nordost and P10 to bring out the high frequency details and sound stage, but we use one cardas cable to bring the vocal more prominent as the Bro prefer the vocal more stand out. 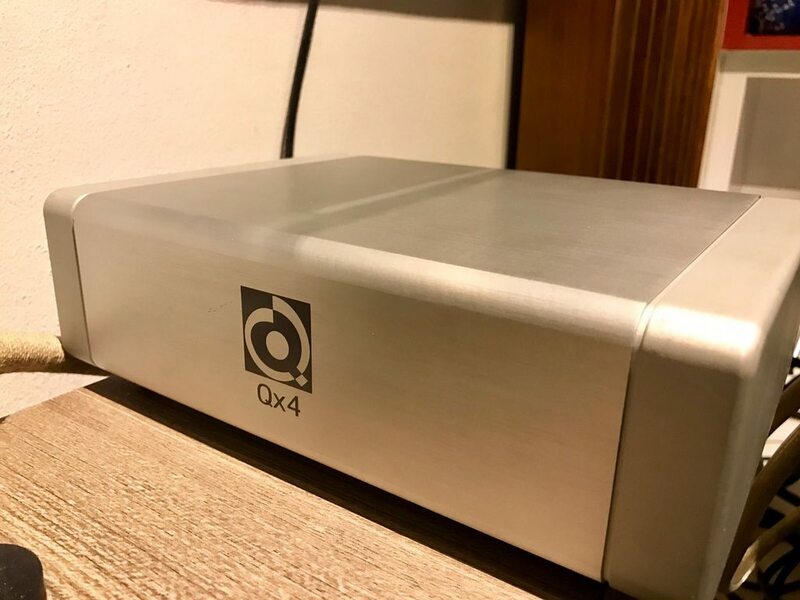 overall is a very success exercise and we will do it again at another system in Aug.
A further detail look at Nordost QX4 circuit... photo is from internet.. The circuit actually from IEC connector direct connect out to power plug without any filter, then rest of circuit is just a 5V reg power the 8 bits micro processor PIC16F54 to switch on four pulse common mode choke PE61911. 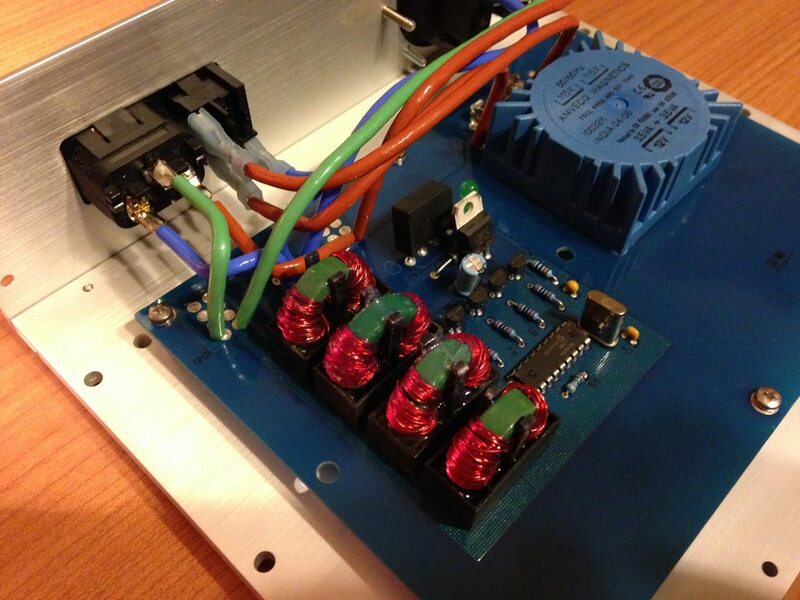 The circuit actually radiated some low switching frequency from the metal chassis act as antenna. But i am not very sure how the low frequency actually lower the hifi system noise and make it more quiet? ?